Wanderlust Festival returns to the Green Mountains this weekend here at Stratton Mountain. 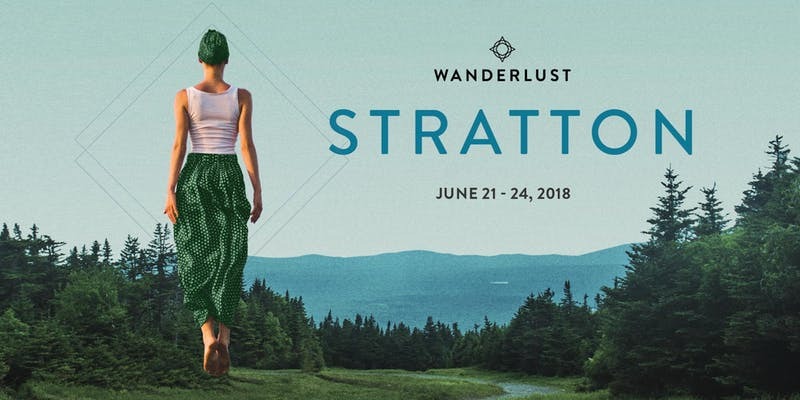 If you’ve never been to Wanderlust Stratton, you may be just as unaware as I first was about how much more depth there is to this four-day immersive experience. It’s much more than simply being a yoga retreat in nature. Last year was my first time attending Wanderlust and I was truly inspired by the sense of community and common values shared by all the. It was easy to let my guard down, let go of my preconceived notions on how this festival would pan out, open my mind, meet new people and embrace the diversity. Everyone that was there, it appeared to me, was there to explore and further his or her personal journey of connecting to life’s purpose. Most importantly I was able to share the sense of being part of something bigger than myself. As Wanderlust Co-Founder Sean Hoess told me, “Wanderlust is a gathering of the yoga lifestyle community. 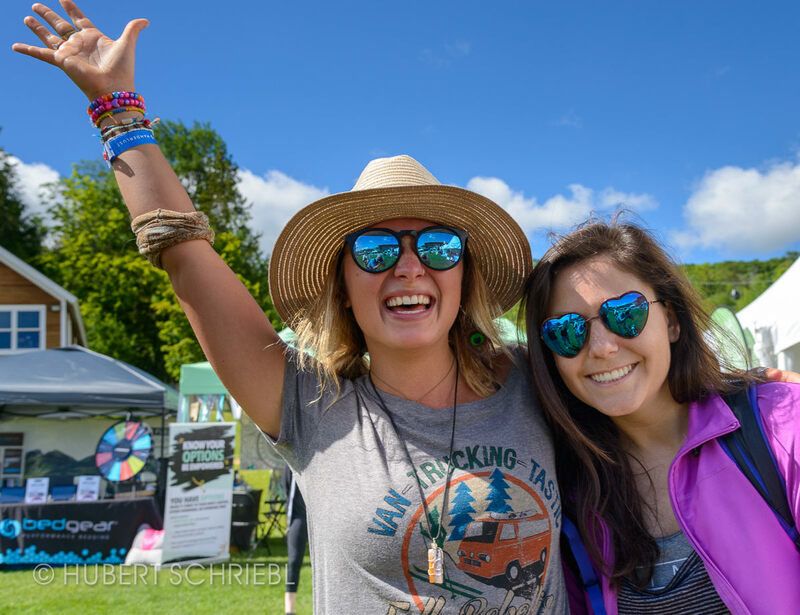 It’s a gathering of the conscious community in a beautiful setting where we also celebrate community and nature and have a whole lot of fun with live music and the arts and hiking and really a wide range of outdoor activities.” This festival really has something for everyone. 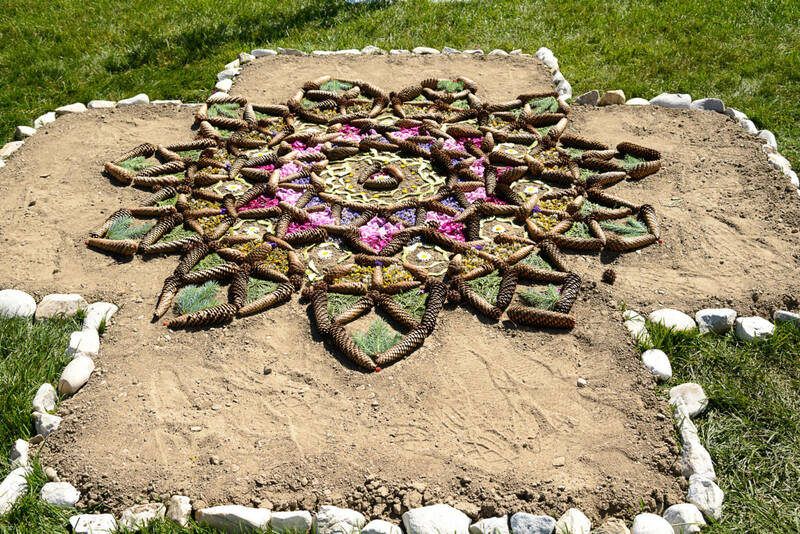 From practicing yoga at the highest peak in southern Vermont, to hiking, biking, stand-up paddle boarding, thought-provoking lectures on a wide array of topics, art installments, local/sustainable food, and live music, the possibilities are endless. Live music is a staple of the festival that I was able to hear at almost any time throughout the resort. The main stage under the tent hosts the headlining musical acts at night. This year, the Wanderlust House Band, will take you on a genre-bending journey of rock n’ roll and funk and soul for a music and dance experience like no other. 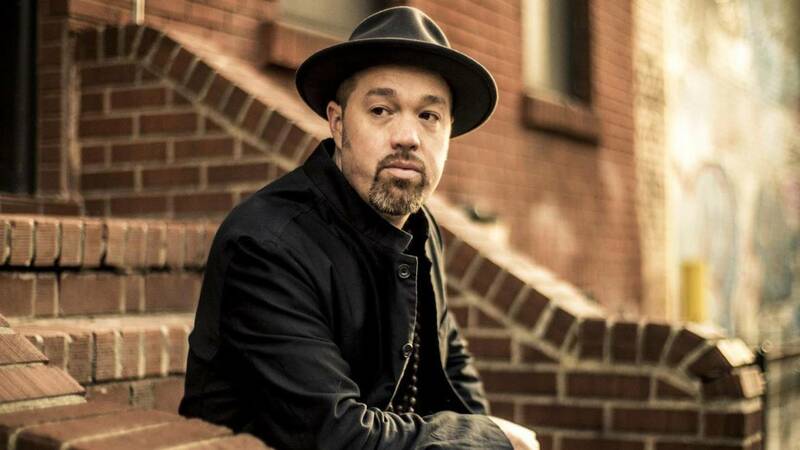 An all-star lineup of musicians led by Eric Krasno, take the stage at 9pm this Saturday, June 23. I’m really excited to see this super-group made up of Grammy winners and nominees play some killer music that gets everyone up and dancing like nobody is watching. Standalone tickets are available for this special night of music here. According to Sean, “Vermont has always had a bit of a mystical quality. [It’s a] very green and lush state filled with alternative and free thinkers, but also a real focus on community. It also [has] a great arts community and [is] a leader in the progressive food movement. There’s a lot of qualities associated with Vermont that I think really make it a great home for Wanderlust.” I couldn’t agree more with Sean’s statements about Vermont, the state I love most and perhaps the parallel that he’s drawn from Vermont to Wanderlust is how the festival grew on me so quickly. New this year, for its Premium Food Experiences, Wanderlust is partnering with (RED) to turn your food choices into a force to fight AIDS. Net proceeds from event ticket sales will be donated to the AIDS fight. The life-saving pill that enables HIV+ moms to keep themselves alive and healthy, which also prevents the virus from being passed to their babies, costs just 20 cents a day in sub-Saharan Africa. The Wan(DER)lust Cookout on Thursday evening is the perfect way to kick off your weekend with Wanderlust. Wan(DER)lust Happiest Hour takes place on the yoga deck at the summit. I can’t think of a better way to kick off a night out than with some light fare and tastings, snacks and an expansive view of the mountains around us. 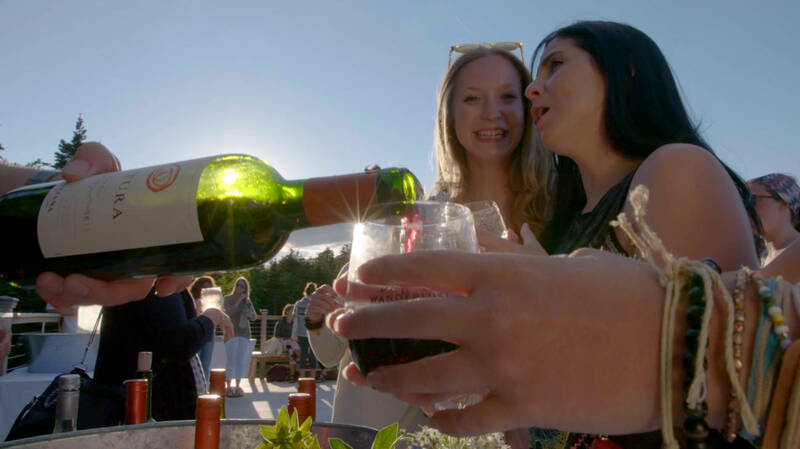 Wan(DER)lust Farm-to-Table Dinner combines traditional and innovative dishes, live music, and delightful company into a mindful celebration of earth’s gifts and will expand your knowledge about the bounties of the local region. Be sure not to miss out on these delicious food and drink opportunities, while supporting a good cause. Tickets are available here. When you purchase a ticket to any of these events you are helping save lives. I hope we cross paths this weekend!